The ECI has recommended to the President the disqualification of 20 legislators who were appointed as parliamentary secretaries by the Arvind Kejriwal government in Delhi. NEW DELHI: The Delhi High Court today refused to pass any interim order of protection to AAP MLAs, whose names have been recommended for disqualification as legislators by the Election Commission of India (ECI) for holding office of profit. The high court asked the ECI to inform it by January 22 whether any final communication has been sent to the President Ram Nath Kovind on the disqualification of the MLAs. Justice Rekha Palli made it clear that she was not inclined to pass any order or issue notice and asked the ECI to clarify the queries raised by her. However, during the brief hearing, the judge questioned the conduct of the MLAs before the ECI and said they did appear before the poll panel taking shield of the fact that their pleas were pending in the high court. These legislators had filed the application in the pending petition in which they had challenged the ECI's stand to examine a petition against them. Hours after the ECI recommended their disqualification, the affected MLAs mentioned the application before a bench headed by Acting Chief Justice Gita Mittal for urgent hearing, which was listed before Justice Palli. Earlier in the day, the ECI had recommended to the President the disqualification of 20 AAP MLAs for allegedly holding offices of profit. 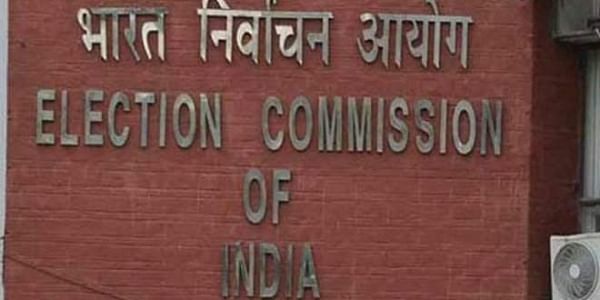 In its opinion sent to the President, the ECI said by being parliamentary secretaries, they held office of profit and were liable to be disqualified as MLAs of the Delhi Assembly. The petition before the EC was filed by one Prashant Patel against 21 MLAs who were appointed as parliamentary secretaries by the AAP government in Delhi. Others are: Rajesh Gupta (Wazirpur), Rajesh Rishi Janakpuri), Sanjeev Jha (Burari), Sarita Singh (Rohtas Nagar), Som Dutt (Sadar Bazar), Sharad Kumar (Narela), Shiv Charan Goel (Moti Nagar), Sukhbir Singh (Mundka), Vijendar Garg (Rajinder Nagar) and Jarnail Singh (Tilak Nagar).